Security Fence Company/PVC custom manufactures PVC extrusions. These PVC fence materials carry a written lifetime warranty and are manufactured into over 30 different styles of fencing. In addition to fences, we offer many styles of PVC porch railing complete with posts and accessories. We offer custom size sections with no surcharges, prefabricated boxed kits and can ship or deliver most orders from stock. Not all PVC rail fences are created equal! Ask your SFC/PVC professional dealer about aluminum post and rail inserts to make your SFC/PVC fence super strong. 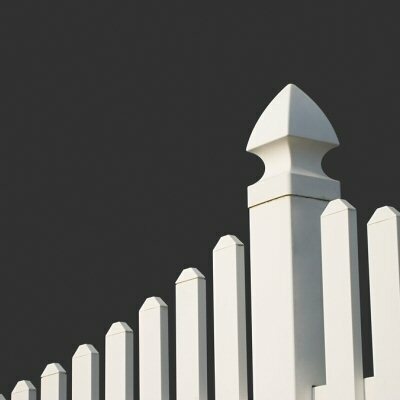 What Makes SFC/PVC Fence the Best Choice? Our SFC/PVC fencing is available in over 30 different styles. We custom manufacture each job but you never pay an additional charge for odd size sections or the caps of your choice. There are no unsightly exposed fasteners on any of our PVC fencing sections. After all, you are purchasing a maintenance-free fence! The SFC/PVC dealer who will be installing your fence is a true professional. All of the pictures in our fencing brochure are actual jobs installed by our dealers. Please take a moment to note the uniformity of sections, an advantage which only SFC/PVC dealers can supply. We offer a wide variety of traditional and decorative styles of PVC fencing for every need. Browse our PVC Fence Gallery below to find the one just right for your situation.